The IMG Registrar Training Program is a world-class vocational training program for international medical graduates wishing to pursue a career in medicine in Australia through the Standard Pathway. The Standard Pathway is the most common pathway for international medical graduates seeking to achieve General Registration with the Medical Board of Australia. 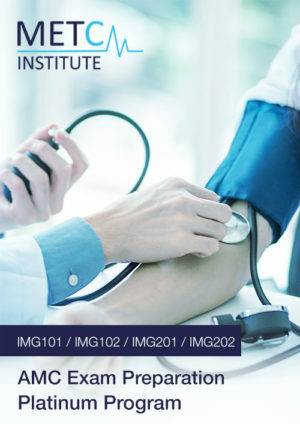 The IMG Registrar Training Program provides vocational training in general practices and hospitals and combines in-practice learning, small group training, seminars and online modules. The Program enables registrars to build their medical knowledge and experience, develop competence and familiarity with the Australian health care system, and meet the requirements to achieve General Registration with the Medical Board of Australia. The Program enables registrars the only formalised and structured learning and training pathway to achieve BOTH certification with the Australian Medical Council (through conferral of the AMC Certificate) and general registration with the Medical Board of Australia (through the Australian Health Practitioner Regulation Agency – AHPRA). To facilitate their transition into Australian medical practice, registrars receive a competitive salary from employment in an accredited practice within Australia. The IMG Registrar Training Program is a world-class vocational training program for international medical graduates wishing to pursue a career in medicine in Australia through the Standard Pathway for international medical graduates. The Standard Pathway as described by the Australian Medical Council is the most common pathway for international medical graduates seeking to achieve General Registration with the Medical Board of Australia. The IMG Registrar Training Program provides vocational training in general practices and hospitals and combines in-practice learning, small group training, seminars and online modules. The Program enables registrars to build their medical knowledge and experience, develop competence and familiarity with the Australian health care system, and meet the requirements of the Australian Medical Council to achieve General Registration with the Medical Board of Australia. The Program enables registrars the only formalised and structured learning and training pathway to achieve BOTH certification with the Australian Medical Council (through conferral of the AMC Certificate) AND general registration with the Medical Board of Australia (through the Australian Health Practitioner Regulation Agency – AHPRA). To facilitate their transition into Australian medical practice, registrars receive a competitive salary from employment in an accredited practice within Australia. To graduate doctors who can effectively function as safe junior doctors, working under supervision, within the Australian health care system. The IMG Registrar Training Program is usually completed over a 2-year period. The length of the training program may be reduced to a minimum 12-months, with recognition of prior learning. 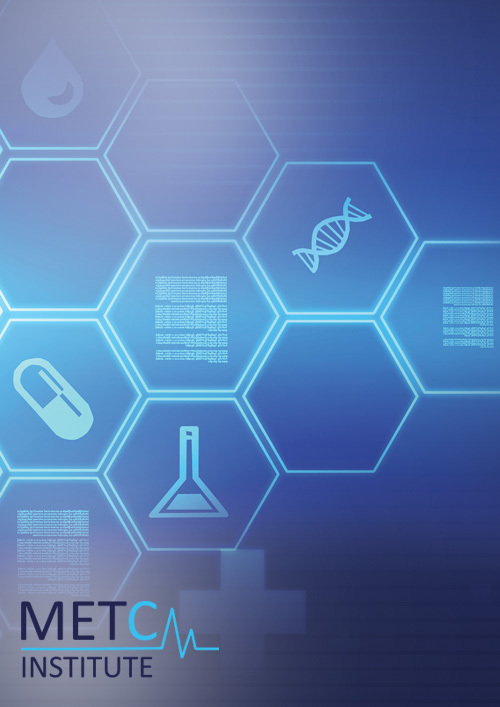 Doctors of this program may require extensions of learning in order to meet all of the requirements of the program, which is granted on a case-by-case basis. Recognition of prior learning allows direct entry into Year Two of the training program. However, positions are limited as priority is given to accommodating registrars who have completed Year One of the training program. Refer to the ‘Entry Requirements’ tab above for further information about the Year Two Direct Entry Pathway. Year One of the Program is delivered completely online by distance education. In Year Two of the Program, most of the training is delivered by interactive practice-based teaching and experience. This involves patient-stimulated learning where registrars have direct contact with patients as well as in-practice teaching where you learn from talking to, watching and interacting with your clinical supervisor. There are additional formal pre-planned activities, such as tutorials taught by your supervisor or other staff. As a registrar completing the training program, you will receive full support and resources to ensure that you’re on the right track to meet the requirements of attaining General Registration and your AMC Certificate. Successful completion of the IMG Registrar Training Program will see graduates obtain the AMC Certificate from the Australian Medical Council, as well as General Registration with the Medical Board of Australia, subject to assessment by the Medical Board of Australia to established standards. Conferral of this certification will completely open pathways for International Medical Graduates to pursue their career objectives within the Australian health care system. Registrars who are unable to pass the IMG Clinical Exam during Year 2 of training may apply for extension of training to enable a re-test or repeat examination. Extension of training is granted on a case-by-case basis and occurs in 12-month contract terms. Extension of training is granted based upon feedback from the Training Practice Supervisor, and direction of the Medical Board of Australia with regards to the Registrar’s limited registration. If extension of training is not granted for any reason, dismissal from the program will occur. Registrars in Year Two of the IMG Registrar Training Program will be employed by accredited practices and will receive a salary during this part of their training. Year Two (Semester One): $75,328.23 p.a ($1,448.62 / 38 hr week), ($38.12/hr), plus the statutory rate of superannuation as determined by the Commonwealth which is currently 9.5%. Year Two (Semester Two): $90,564.39 p.a ($1,741.62 / 38 hr week), ($45.83/hr), plus the statutory rate of superannuation as determined by the Commonwealth which is currently 9.5%. The initial step is to complete the online application form below. The online application will ask a series of questions to check your eligibility for the program. You will also be asked to provide certain documentation and a CV. Refer to the ‘Enrolment’ tab above for further information about the application and competitive selection process. Recognition of prior learning allows direct entry into Year Two of the training program. However, positions are limited as priority is given to accommodating registrars who have completed Year One of the training program. Refer to the ‘Enrolment’ tab above for further information about the Year Two Direct Entry Pathway. Year One of the IMG Registrar Training Program is completed online by distance education. It is therefore possible to complete Year One of the program internationally. Commencement of the program is also flexible, allowing for differing schedules between registrars, who often incorporate their studies into pre-existing medical practice. Year One of the program may also be completed part-time to account for the varying schedules of candidates. Year Two of the IMG Registrar Training Program is completed in Australia and includes full-time, salaried, vocational training within accredited practices throughout Australia. The program is supervised and assessed by accredited medical practitioners and further training requirements include small group training, seminars, tutorials and online modules, which are mandatory and are completed outside of ordinary vocational training hours. Year One of the IMG Registrar Training Program is completed online by distance education. It is therefore possible to complete Year One of the program internationally. Year Two of the IMG Registrar Training Program is completed in Australia and includes full-time, salaried, vocational training within an accredited practice. Accredited practices are located throughout Australia and the employment positions are supervised by accredited medical practitioners. The IMG Registrar Training Program includes enrolment into the Live Preparation Workshop for the AMC Clinical Exam (IMG203), which is held on a regular basis. Selection into the IMG Registrar Training Program is merit-based and is highly competitive. The application process seeks to identify doctors that would be suited to a career in Australian medical practice. * Please note that this is a competitive selection process. The fees for the selection process are not refundable if you are unsuccessful in your application. Applications for enrolment can be made via formal completion of the IMG Registrar Training Program Initial Application Form (below). The online application will ask a series of questions to check your eligibility for the program. You will also be asked to provide certain documentation and a CV. Your initial online application will be assessed and an eligibility check will be completed to see if you have completed the application appropriately and met the criteria for application for entry into Year One of the IMG Registrar Training Program (or Year Two of the program via the Direct Entry Pathway – refer to ‘Entry Requirements’). Note: While you may meet the eligibility criteria for consideration of selection into the IMG Registrar Training Program, you will still need to meet 1) government immigration and visa regulatory requirements, 2) requirements of the Medical Board of Australia and 3) Medicare provider number requirements. These factors are independent of your application and are administered independently by relevant Government and registration authorities. There is a non-refundable application fee for administrative requirements of the selection process. This is payable once your initial online application has been assessed to be completed correctly. The current fees are $700 (excl. GST if applicable). The selection process for the IMG Registrar Training Program includes a structured clinical interview. The selection process will identify the best candidates with a genuine interest in a career in Medicine in Australia. The selection process will also consider relevant education, and seek to identify those who have a history of commitment and initiative. Refer to the ‘Entry Requirements’ tab above for further details on the selection process. Applicants applying for entry into Year One of the IMG Registrar Training Program must complete all fields in the online initial application form. Note that progression to Year Two of the IMG Registrar Training Program requires the candidate to meet additional criteria, which must be satisfactorily achieved to allow progression. These criteria are required to be met for progression to Year Two of the IMG Registrar Training Program. Failure to meet these requirements may lead to dismissal from the program. Registrars must obtain a valid working visa through the Department of Immigration and Border Protection. This is to be obtained independently. For most training practice positions, Registrars must obtain and maintain a valid Medicare Provider Number. Section 19AB of the Act applies to overseas trained doctors (OTDs) and foreign graduates of accredited medical schools (FGAMS) who gained their first medical registration or became permanent Australian residents or citizens on or after 1 January 1997. Section 19AB restricts their access to Medicare provider numbers and requires them to work in a district of workforce shortage (DWS) for their medical specialty in order to access Medicare benefits arrangements. OTDs and FGAMS who are subject to section 19AB are generally required to work in a DWS for a minimum period of 10 years (referred to as the 10 year moratorium requirement) from the date of their first Australian medical registration. Section 19AA of the Act was introduced to recognise and support general practice as a vocational speciality, as well as to provide a framework for achieving long term improvements in the quality of doctors working in Australia. As section 19AA of the Act is a quality assurance measure there is no exemption from the requirement to obtain vocational recognition to be eligible to access the Medicare benefits arrangements. Section 19AA of the Act places a requirement on all doctors who were registered in Australia after 1 November 1996 and are permanent residents or Australian citizens to obtain vocational recognition as a GP, specialist or consultant physician in order to access Medicare rebates. A doctor is considered to be vocationally recognised once they have obtained a Fellowship qualification that is recognised in Australia. Doctors who are subject to section 19AA of the Act may otherwise obtain Medicare access if they are working towards obtaining a Fellowship qualification on one of the approved workforce or training programmes that are included in Schedule 5, Part 2 of the Health Insurance Regulations 1975 (the Regulations). 5. Provide evidence of successful completion of a medical internship or comparable. The Board may issue guidance on what defines a comparable medical internship. Candidates who have passed the AMC CAT MCQ may apply directly for entry into Year Two of the IMG Registrar Training Program. Candidates who have additionally passed the AMC Clinical Exam and hold a valid AMC Certificate may also apply for entry into Year Two of the IMG Registrar Training Program. Recognition of prior learning is only valid for Year One subjects. All candidates must enrol in and complete all Year Two subjects regardless of prior learning or qualifications obtained. All candidates must meet Year Two eligibility requirements in order to secure or maintain a position in the IMG Registrar Training Program. Registrars undergo rigorous assessment throughout the IMG Registrar Training Program. This includes a combination of theoretical and practical based assessment. Registrars in Year Two of the program are formerly assessed on a quarterly basis. Assessment reports are also forwarded for review to the Medical Board of Australia. 1The Australian Medical Council MCQ CAT Exam and Clinical Exam (AMC Examination) is conducted independently. The fees for this examination are not included in course fees for the IMG Registrar Training Program. 2The PESCI (Pre-Employment Structured Clinical Interview) is conducted independently. The fees for the PESCI are not included in course fees for the IMG Registrar Training Program. 3Compliance with Medical Board of Australia or other government regulatory requirements are legal obligations on the registrar and any associated costs are not included in course fees for the IMG Registrar Training Program. Failure to pass summative examination may lead to dismissal from the program. METC Institute is an independent organisation and is NOT affiliated with the Australian Medical Council or with the Medical Board of Australia. The IMG Registrar Training Program is designed and delivered by Specialist Doctors and Senior Lecturers from leading Australian University medical schools and teaching hospitals. Minimum qualification standards include MBBS with specialist qualification and registration with the Australian Health Practitioners Regulation Agency (AHPRA). The AMC Exam Preparation Platinum Program is the ideal preparation program for candidates aiming to achieve success and the highest possible performance in every element of the Australian Medical Council examination. The program is completed over a period of up to two years and prepares candidates for global performance in the AMC exam through enrolment into four AMC exam preparation course subjects offered by the METC Institute. The AMC Exam Preparation Platinum Program involves a comprehensive curriculum and allows preparation for both the AMC MCQ CAT examination and the AMC clinical exam.